This is a personal blog. All editorial content and projects are intellectual property of ashleyhortondesigns.com. I do receive compensation and material product from Crate Paper to develop my craft posts, but all ideas and opinions are my own. 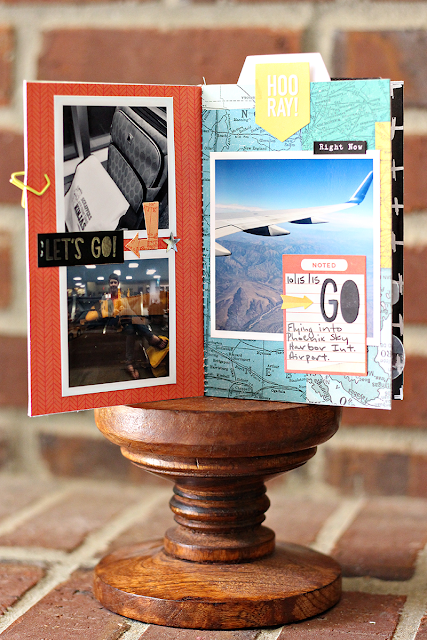 I was on the Crate Paper Blog earlier this week, with a fun Travel Mini Album. I love that the Cool Kid collection has a variety of uses, so I went with it for the album. I created my own base pages, which was really easy. I started by cutting White cardstock to 8x6 inches. This way, when I folded my album in half, the page sizes would be 4x6. I chose several patterned papers from the Cool Kid collection and cut them to the same size of the cardstock. I adhered the patterned paper to the front and back of the cardstock. Once I had each of the base pages completed, I folded each one in half. To secure the pages together, I machine stitched through the folded center of all of the pages, while holding them together. 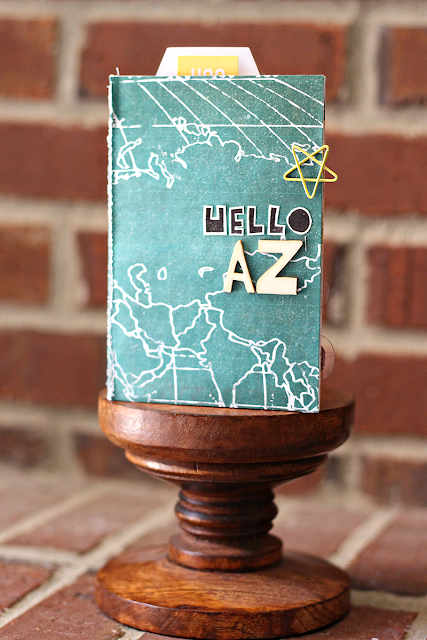 Since I wasn’t working with a specific travel themed collection, I decided to keep the embellishing to a minimum. For the front cover, I added an album title using the Play Thickers and fussy cut letters from the Superhero patterned paper. 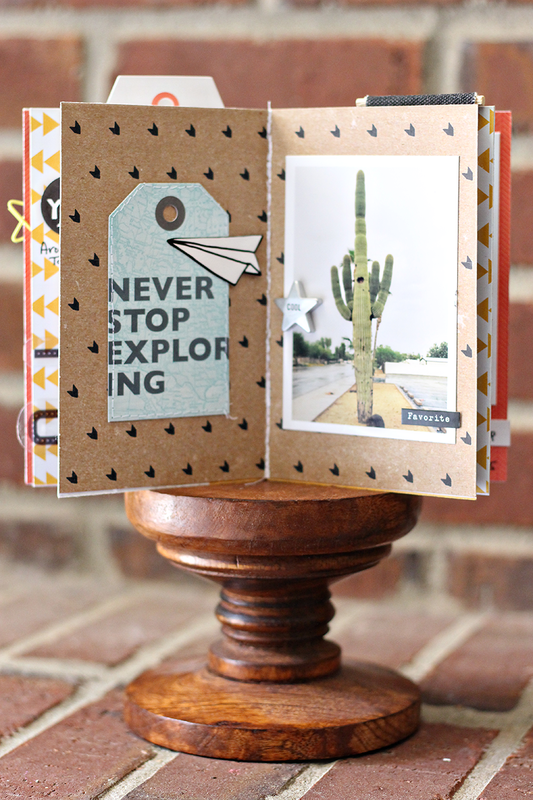 I also added one of the paper clip stars from the Embellishments pack for texture on the front cover. Inside the album, I added photos from a trip to Arizona. My photo sizes range from 2.25x2.25, 3x3 and 3x4. When I create a mini album, I like to layer embellishments right over my photos to add interest and save space on the pages. I had White space in several of the photos in the album, so this layering technique worked perfectly. 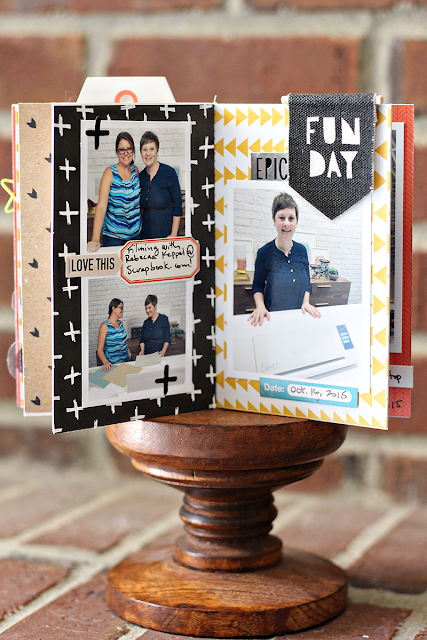 I also wanted dimension throughout the album, so I used some of the thicker embellishments from the Cool Kid collection. 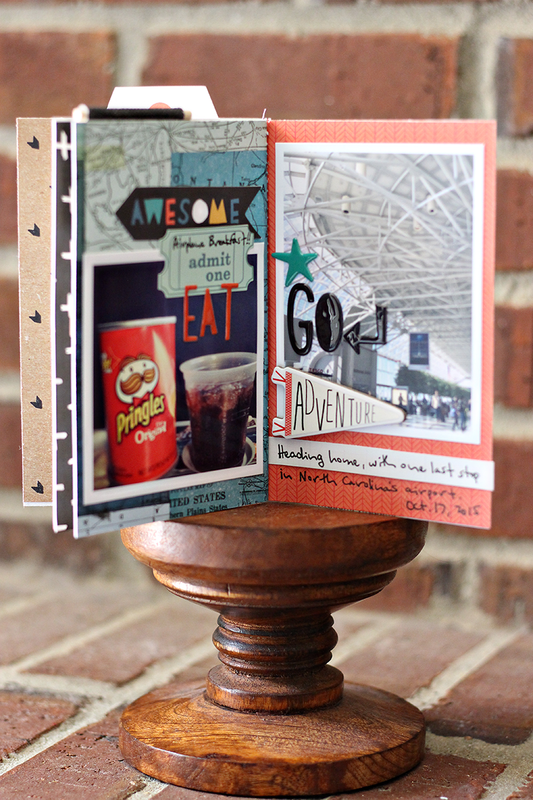 I chose wood veneers, chipboard, stars and puffy stickers that went with the theme of the album. 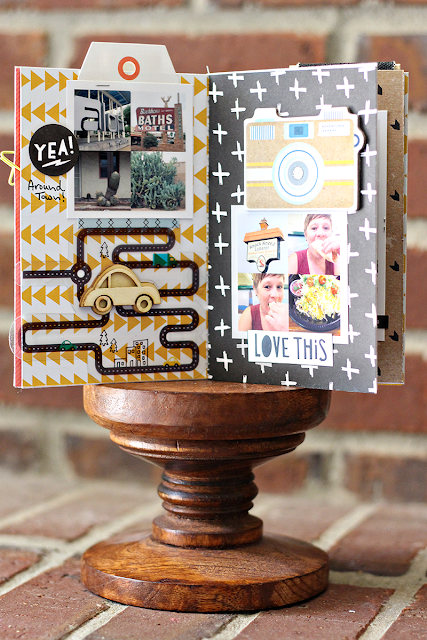 I like how these type of embellishments give a “chunky” look to the finished album! This type of mini album is perfect for documenting a day trip, vacation or staycation. And they are quick and easy to put together, so you could make additional albums for family and friends if you’re traveling together!